Claire first came to Dr. Forsythe when a recurrence of breast cancer was discovered. After twelve long years of being treated with conventional methods including chemotherapy, radiation and surgery, Claire made the brave decision to forgo traditional treatments and seek alternative breast cancer care from our experts at Forsythe Cancer Care Center. Gary More, a Cardiologist based in northern California first came to the Forsythe Cancer Care Center in March of 2017 after receiving a devastating prostate cancer diagnosis. Like many of our patients, Gary had previously encountered oncologists that lacked empathy or a passion to truly heal their patients. However, since entering our program centered on alternative healing methods and cancer treatments, Gary is now well on his way to a long and healthy life. Watch stage IV advanced prostate cancer survivor and his wife give a testimonial on how cancer affects both patient and caregiver and why the protocol and staff at Forsythe Cancer Care Center are so important in his fight against cancer. Larry is 74 years old and is from Iowa and was diagnosed with Stage IV prostate cancer in July, 2014. He decided to come to the Forsythe Cancer Care Center in Reno, Nevada, to see Dr. James Forsythe. He received integrative cancer treatments which included: The Forsythe Immune Protocol, Lite Insulin Potentiation Therapy and chemosensitivity testing. For more information about the Forsythe Cancer Care Center and their alternative cancer treatments call 775-827-0707 or visit DrForsythe.com. Gene is 72 years old and lives in Idaho and was diagnosed with prostate cancer in February, 2015. He came to see Dr. James Forsythe at the Forsythe Cancer Care Center located in Reno, Nevada with the main reason that he did not want to lose his hair, especially his mustache. He started integrative cancer treatments, March 2015 with The Forsythe Protocol, Lite Insulin Potentiation Therapy and chemosensitivity testing. He has had one treatment, over a 3 week period. To learn more about integrative cancer treatments; The Forsythe Immune Protocol, Lite IPT and chemosensitivity testing visit DrForsythe.com or call: 775-827-0707. Karen is 53 years old and was diagnosed with Stage IV breast cancer in 2015. She came to Forsythe Cancer Care Center, Reno, Nevada to see Dr. James Forsythe, January 2015. She was treated with integrative cancer therapies over a three week period. The therapies included; The Forsythe Immune Protocol, Lite Insulin Potentiation Therapy and chemosensitivity testing. For more information on the different integrative therapies at the Forsythe Cancer Care Center call 775-827-0707 or visit DrForsythe.com. Teresa is 57 years old and is from Tennessee and was diagnosed with Stage IV breast cancer in January, 2004. She came to see Dr. James Forsythe at the Forsythe Cancer Care Center, Reno, Nevada, in January, 2015. She was treated with The Forsythe Immune Protocol, Lite Insulin Potentiation Therapy, Immune Boosters and chemosensitivity testing. Her treatment expanded over a 3 week period. As of April, 2015 she is in stable condition. For more information on The Forsythe Immune Therapy, Lite Insulin Potentiation Therapy and chemosensivity testing visit DrForsythe.com and call 775-827-0707. Gerald is 48 years old and was diagnosed with Stage IV renal cell cancer in 2014 and lives in Idaho. He came to see Dr. James Forsythe and was treated with integrative cancer therapies in January, 2015 at the Forsythe Cancer Care Center, Reno, Nevada. He received The Forsythe Protocol, Lite Insulin Potentiation Therapy with Immune Boosters, supplements and chemosensitivity testing for a 3 week period. He remains stable as of April, 2015. For more information on The Forsythe Immune Protocol, Lite Insulin Potentiation Therapy and chemosensitivity testing visit our website at DrForsythe.com or CenturyWellness.com. Call: 775-827-0707. 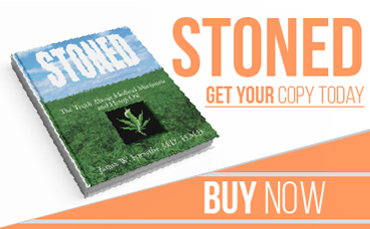 Toll free: 1-877-789-0707. Milena is 49 with Stage II cervical cancer from Massachusetts and came to see Dr. James Forsythe at the Forsythe Cancer Care Center located in Reno, Nevada. She was first diagnosed in 2012 and came to be treated at The Forsythe Cancer Care Center with integrative cancer therapies in 2013, for a four week period. She was initially given The Forsythe Immune Protocol with Lite Insulin Potentiation Therapy and chemosensitivity testing. She had a follow-up visit in November, 2014 with the same cancer medical treatment plan as before. She was placed on oral chemotherapy at that time. As of 2015, she is in full remission. 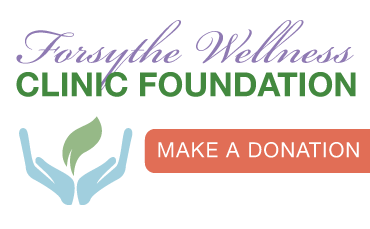 For more information on The Forsythe Immune Protocol, Lite Insulin Potentiation Therapy and Chemosensitivity Testing, Please visit DrForsythe.com or CenturyWellness.com. Call 775-827-0707. Toll free: 1-877-789-0707. Vern is a 57 year old who lives in Texas and developed Stage IV head and neck cancer, four years ago. After extensive research on the internet he found Dr. James Forsythe in Reno, Nevada. 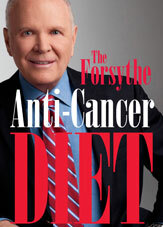 He came to see Dr. Forsythe at the Forsythe Cancer Care Center, 2011 and underwent chemosensitivity testing at the Forsythe Cancer Care Center. He has had a remarkable remission and has returned to Century Wellness Clinic for numerous booster therapies. As of 2015, he continues to do well throughout the 4 year period since his diagnosis. For more information on The Forsythe Immune Protocol and the Lite Insulin Potentiation Therapy call Forsythe Cancer Care Center at 775-827-0707. Toll free: 1-877-789-0707 www.DrForsythe. When Heidi discovered she had stage I breast cancer, she had surgery and radiation. After reading Suzanne Somers' book, " Knockout", Heidi wanted to meet Dr. Forsythe. She believes in the Greek Test and is encouraged and excited about the treatments she had at the clinic. Listen to Heidi and her husband Mike express their feelings about her treatment at Forsythe Cancer Care Center. She is alive and well after 5 years. For more information see DrForsythe.com or call 775-827-0707.